Justice DY Chandrachud stepped in, appealing to the lawyers to "preserve the dignity of the court" after they clashed over the nature of the investigation. New Delhi, India: Raucous acrimony between two opposing lawyers during the hearing of the BH Loya death case on Monday exasperated a judge of the Supreme Court, who finally remarked that the court was turning into a "fish market". The petition being heard - demanding an independent inquiry into the death of the judge - is one of the sensitive cases that drove a wedge within the judiciary. On Monday, the lawyers clashed over the nature of the investigation. Advocate Pallav Sisodia, who was appearing for a petitioner, journalist BH Lone, cited two conflicting news reports - one in the Caravan magazine and another in Indian Express -- saying the investigation must encompass both views. Advocate Dushant Dave, who was representing the Bombay Lawyers Association, said the petition filed by the journalist was meant to pre-empt a similar petition filed in the Bombay high court. After a lengthy argument, Mr Sisodia finally said, "I am not bothered whether you (Mr Dave) go to hell or heaven". Justice DY Chandrachud then stepped in, appealing to the lawyers to "preserve the dignity of the court". "Let us not reduce the level of debate to a fish market -- at least when two portraits of first CJI Justice HL Kania and second CJI Justice BK Mukherjea are looking at us in the court room. The dialogue has degenerated so much that it has become oppressive," said the judge, who recently delivered a stinging rebuke to a lawyer during the hearing in the crucial Aadhaar case. Mr Dave, however, was not placated. "People who have committed misconduct are allowed to argue but the Bar Council has issued notice to me for misconduct for raising the voice of truth," he said, referring to his earlier comments on media criticizing the Chief Justice. 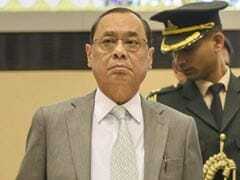 When Justice Chandrachud intervened, saying, "Listen to us", Mr Dave shot back, "I will not listen. I beseech your lordship - act as per your conscience". "Don't remind us of our conscience... Allow the dialogue to proceed," the judge said. The hearing will resume on Friday. Judge Loya had died of a heart attack in Nagpur in December 2014, while hearing a case that accused BJP chief Amit Shah of ordering the fake encounter of a petty criminal, Sohrabuddin, in 2005. Several weeks later, the judge who replaced him ruled that there was no evidence against Mr Shah to merit a trial. Two months ago, judge Loya's relatives alleged that his death was unnatural triggering questions and petitions were filed in the top court demanding an investigation. The views of judge Loya's sister, Anuradha Biyani, was published in the Caravan magazine. 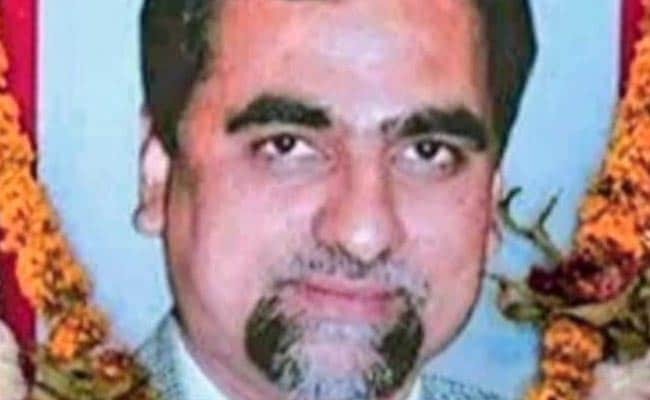 Later, judge Loya's son Anuj Loya had said the family no longer had any suspicions about the death.